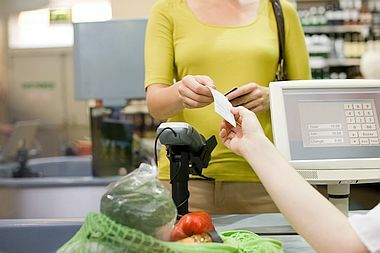 A cashier hands the receipt to the customer after payment. Keep your receipt in case you need to return anything. Open immediately upon receipt of the package. Our company deposits cash receipts every day.